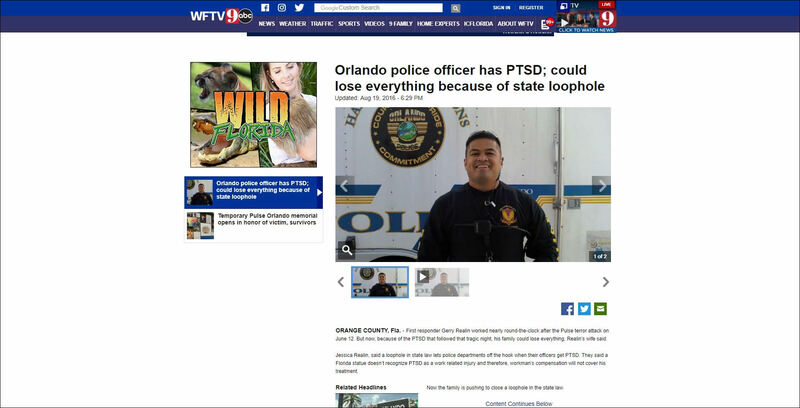 Six months after the Florida Legislature deemed post-traumatic stress disorder a workplace injury, and just days before the law takes effect, state regulators are still grappling with the essence of the issue: What horrible scenes qualify a first responder for compensation? Environmental sampling at ops center over; wait for results begins. 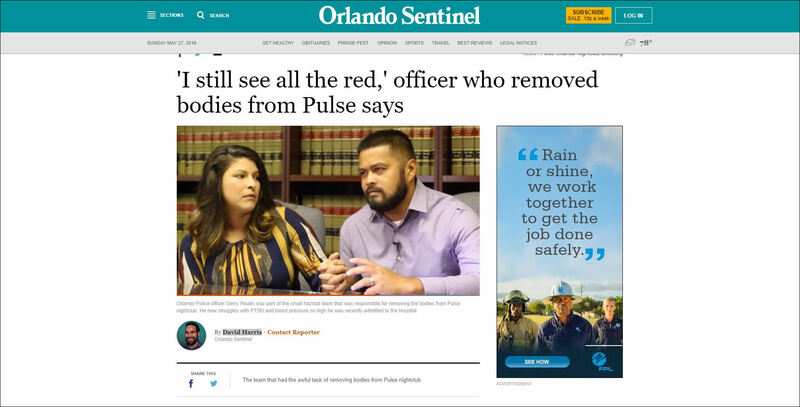 A former police officer suffering from PTSD after being a first responder to the Pulse shooting still doesn't have the benefits he was told he'd receive. 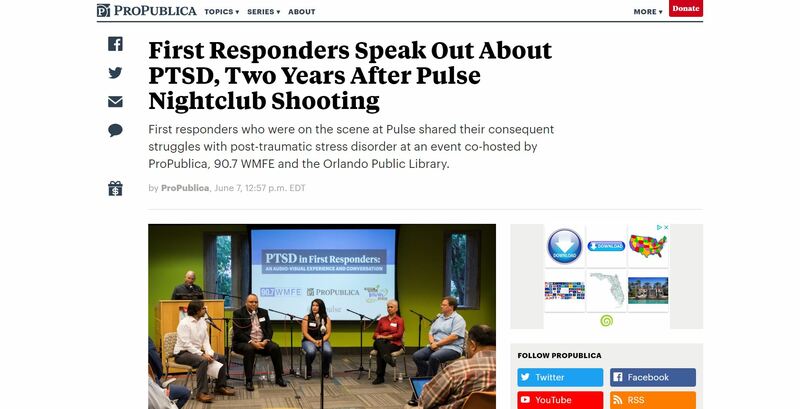 First responders who were on the scene at Pulse shared their consequent struggles with post-traumatic stress disorder at an event co-hosted by ProPublica, 90.7 WMFE and the Orlando Public Library. 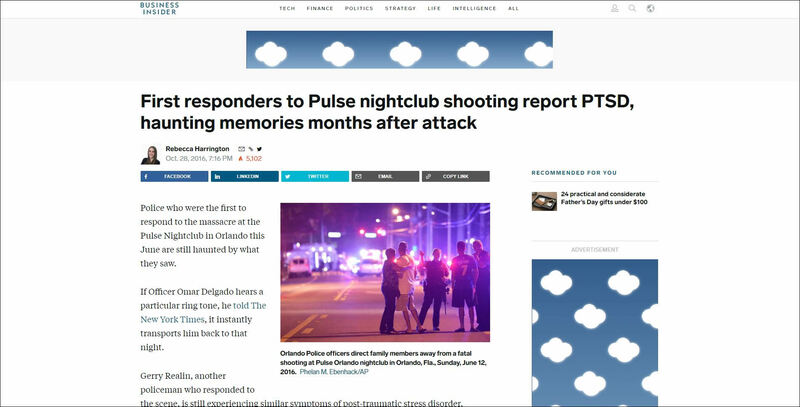 11 June 2018,Five First Responders to the Pulse Massacre. 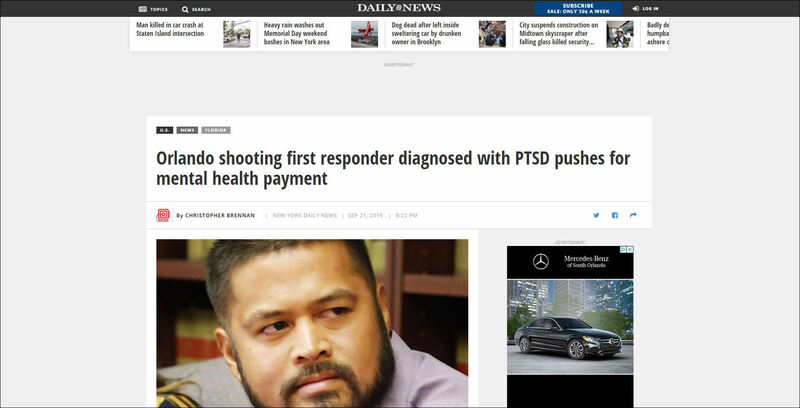 One Diagnosis: PTSD. 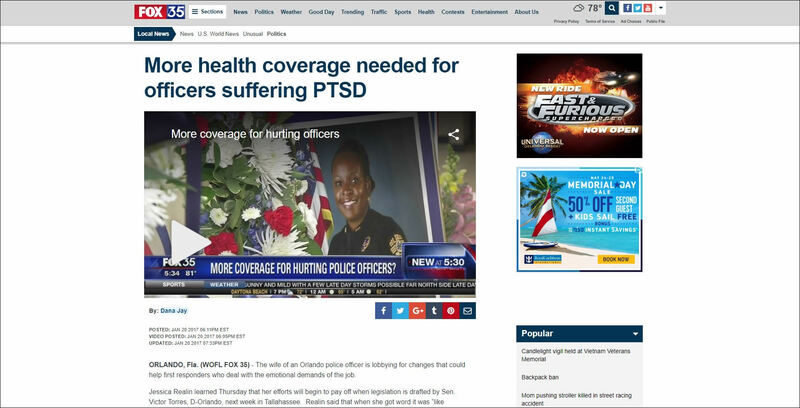 The Florida House of Representatives on Monday gave final approval to a bill that would allow first responders to claim post-traumatic stress disorder as a compensable condition for workers’ compensation. 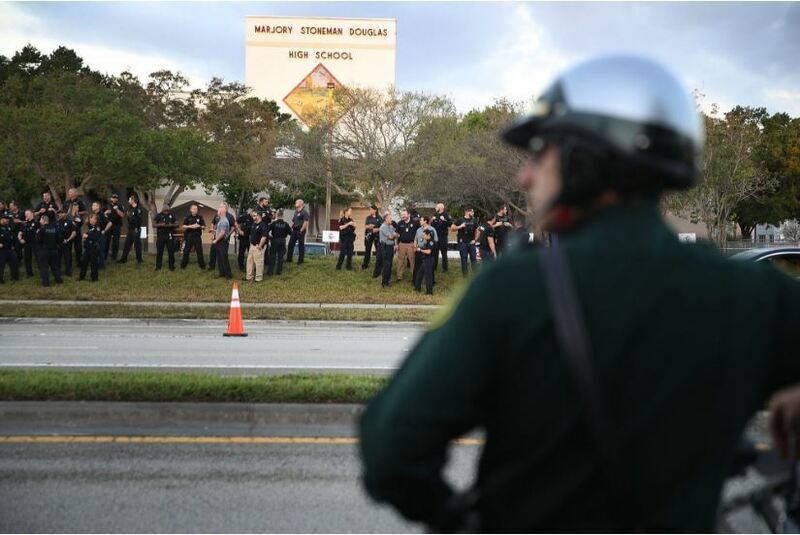 A long-gestating proposal to grant Florida first responders access to workers’ compensation benefits for post-traumatic stress disorder has gained new momentum in the wake of the Marjory Stoneman Douglas High School shooting in Parkland last month. 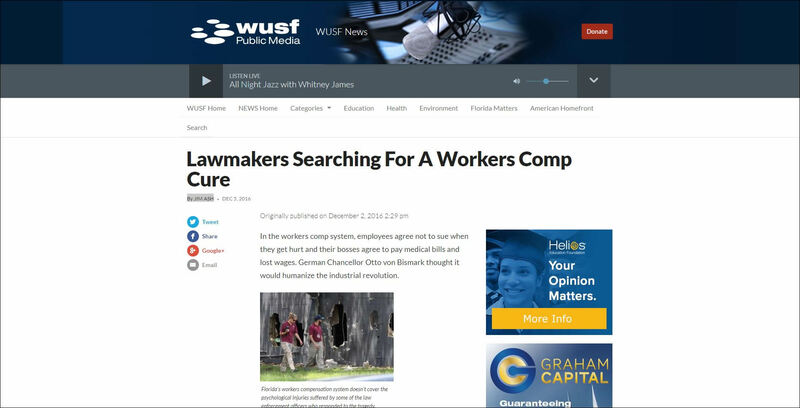 A state senator has heeded calls to help Florida's undocumented workers after news stories spotlighted their plight after work injuries. 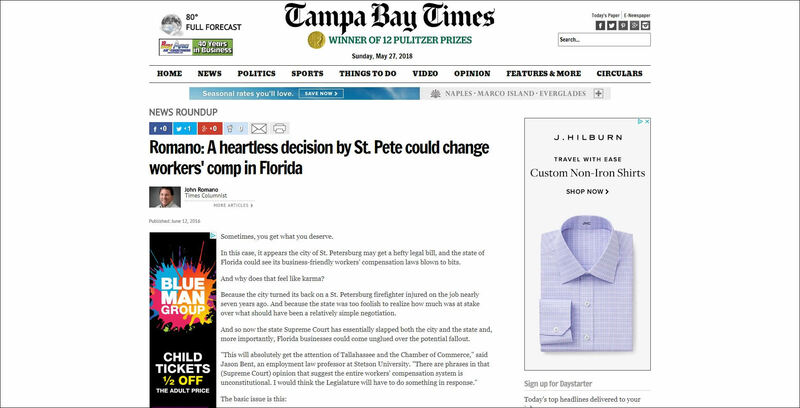 Florida business leaders are saying “told you so” after the Office of Judges of Compensation Claims reported that claimants’ attorney fees increased 36% in the latest fiscal year. 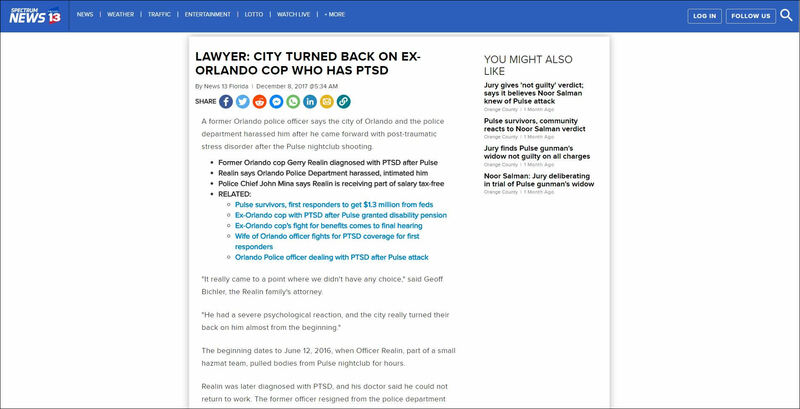 An Orlando claimants’ attorney said he argued a “novel” legal theory Monday before a judge of compensation claims, positing that a police officer with PTSD qualified for lost wages because the physical injury of hypertension accompanied his mental injury. 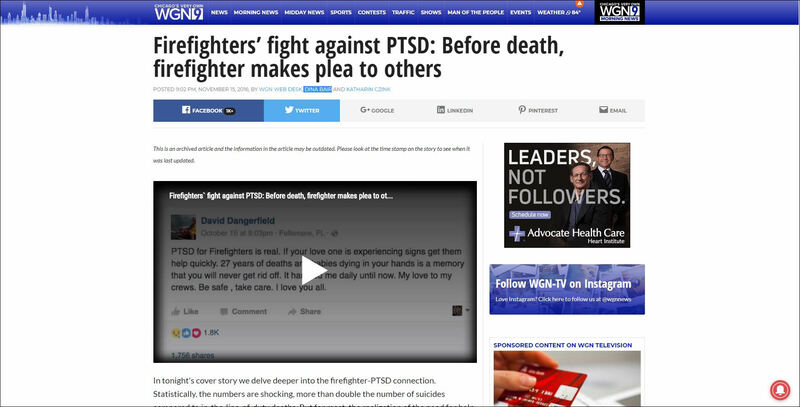 State Chief Financial Officer Jimmy Patronis, who is also Florida’s fire marshal, is backing cancer and PTSD presumption legislation for first responders, WFLA-News Channel 8 reported. 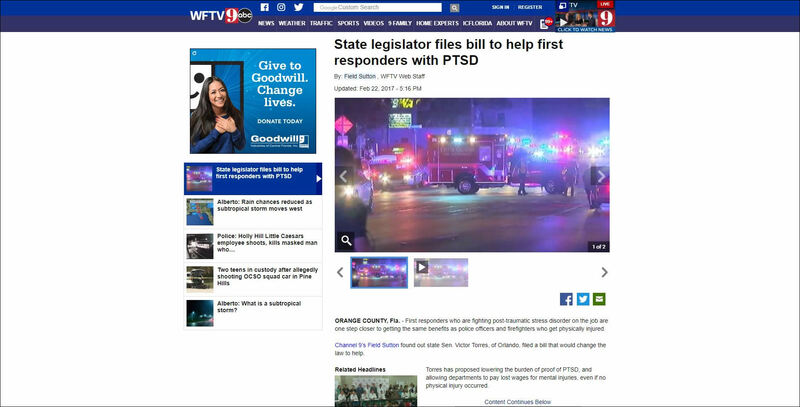 A parade of tearful first responders, spouses and survivors who were prepared to testify against a PTSD presumption bill reversed course Tuesday after the sponsoring senator dropped a set of qualifying conditions. 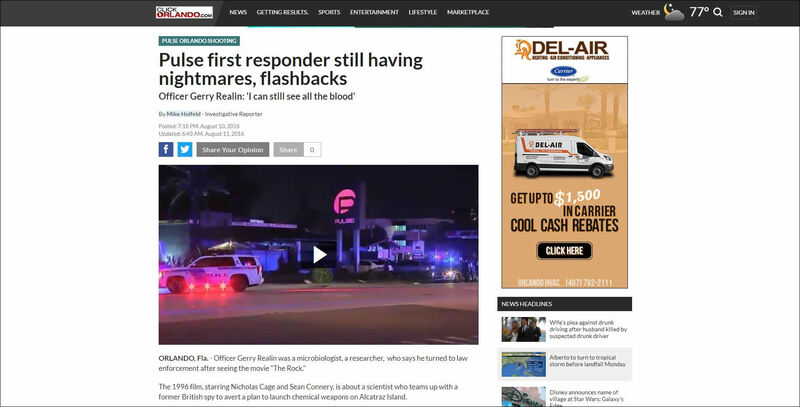 An Orlando firefighter who responded to the Pulse Nightclub shooting is the second first responder to file a claim challenging a state law that generally bars claims for mental injuries, while advocates continue to pressure state lawmakers to expand benefits for first responders who suffer PTSD. 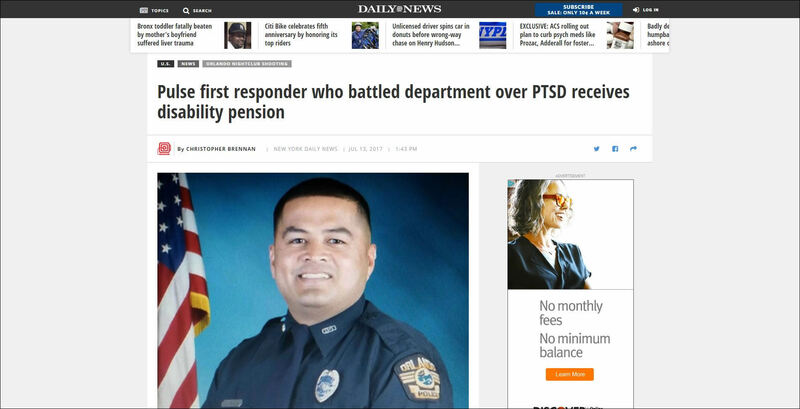 The Senate Banking and Insurance Committee next week will discuss legislation that would award first responders indemnity benefits for mental-mental claims for injuries such as post-traumatic stress disorder. 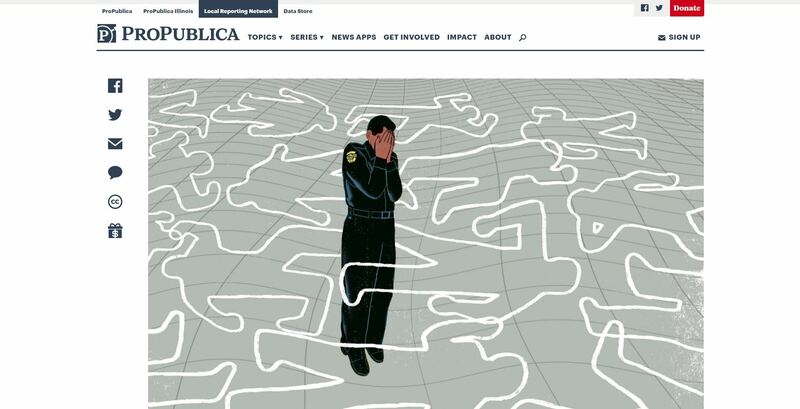 Mental trauma suffered by a Virginia state trooper who came across a mutilated body that had been dragged by a car for nearly a mile is not compensable because the incident was not unusual for a law enforcement officer, a state appellate court ruled. 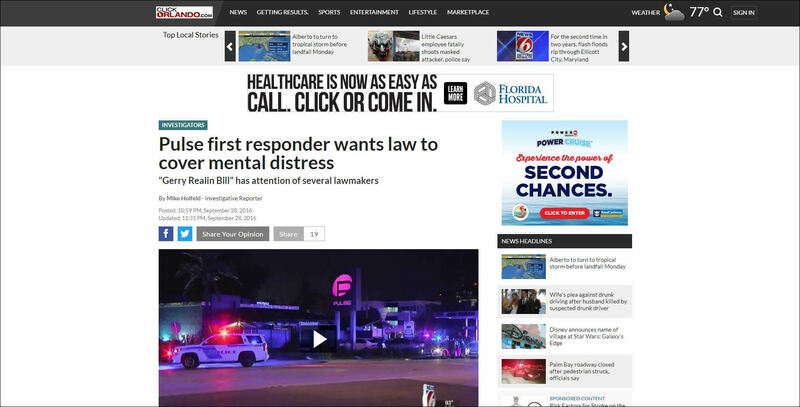 Florida Democrats have introduced dueling bills that would allow first responders to receive workers' compensation benefits in mental-mental claims for injuries such as PTSD, but the measures have differing evidentiary standards. 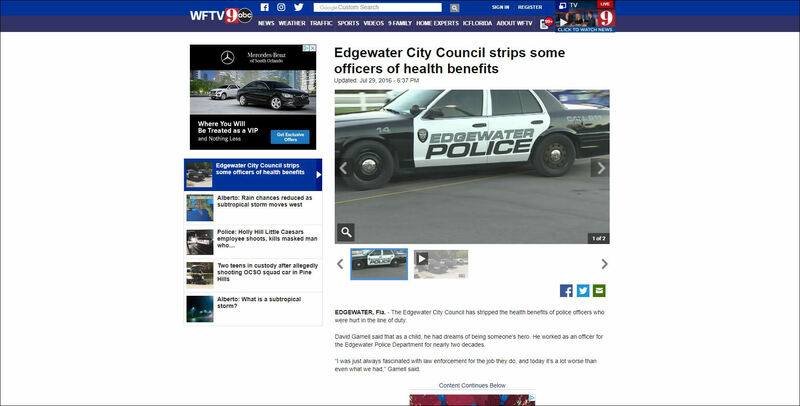 Florida’s 1st District Court of Appeal ruled that a single elevated blood pressure reading noted in a police officer’s preemployment physical examination did not constitute evidence of a hypertensive condition. 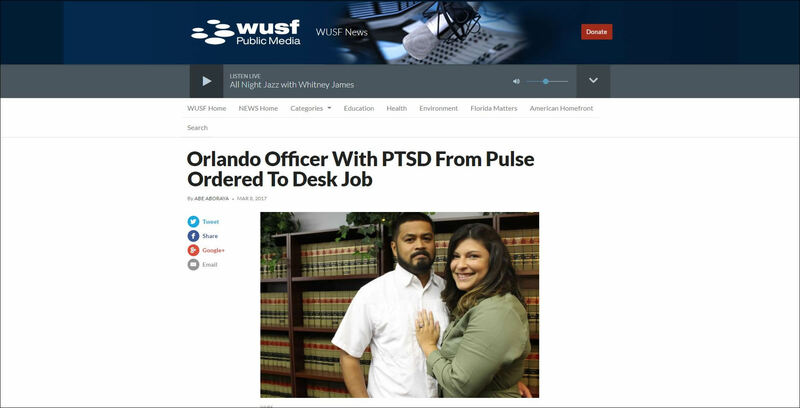 A former Orlando, Florida, police officer who developed post-traumatic stress disorder after recovering bodies from the Pulse nightclub shooting spree in June 2016 is contemplating a negligence suit because the city won’t agree to workers’ compensation benefits, his attorney said. 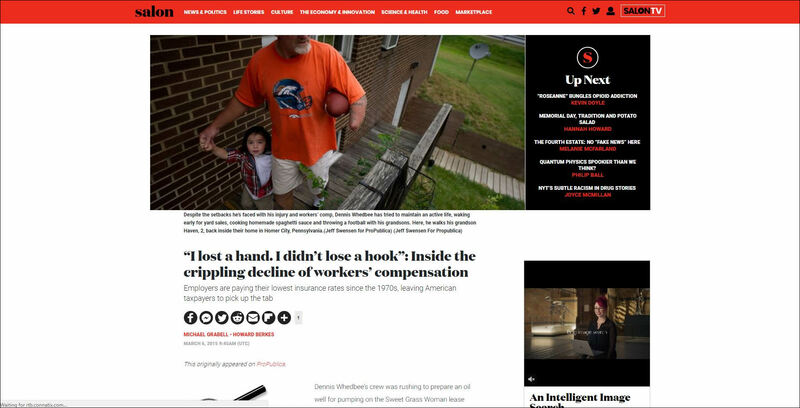 ORLANDO, Florida — Most states are racing to the bottom on providing adequate workers’ compensation benefits, but Florida has a unique Constitution that prevents legislative overreach on reducing comp awards, a national expert said here Tuesday. 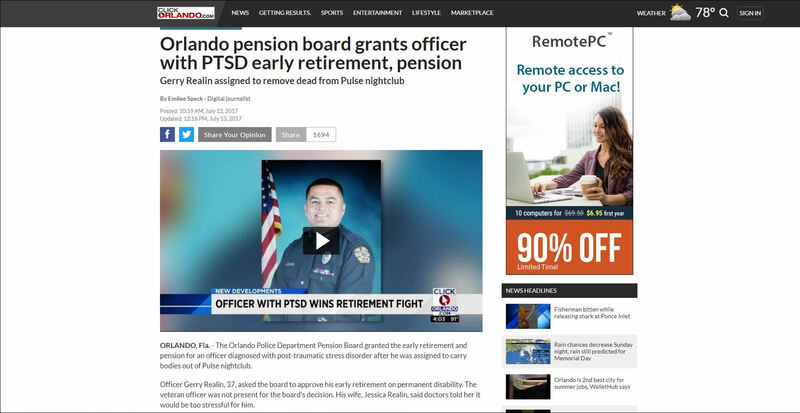 The Police Pension Board for the City of Orlando approved a disability retirement for a 37-year-old officer diagnosed with post-truamatic stress syndrome, a decision that the officer's attorney called "unprecedented"
ORLANDO, Fla. - An Orlando police officer who responded to the shooting massacre at Pulse Nightclub last year has been granted early-retirement benefits after being diagnosed with post-traumatic stress disorder. 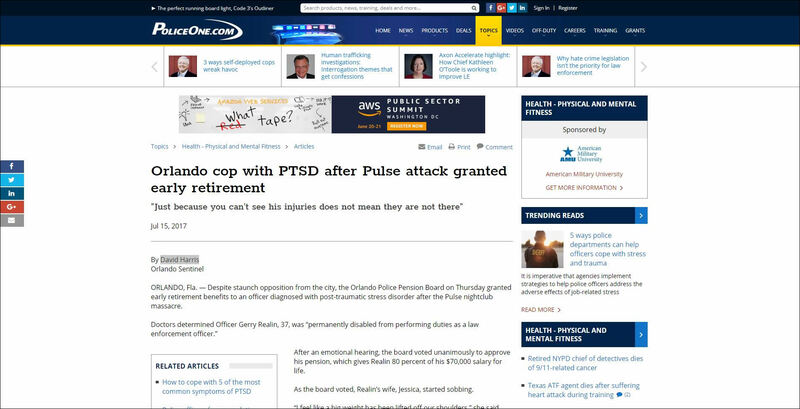 ORLANDO, Fla. - A first responder who said he developed post-traumatic stress disorder after the Pulse terror attack will be able to get a disability pension following a months-long battle. 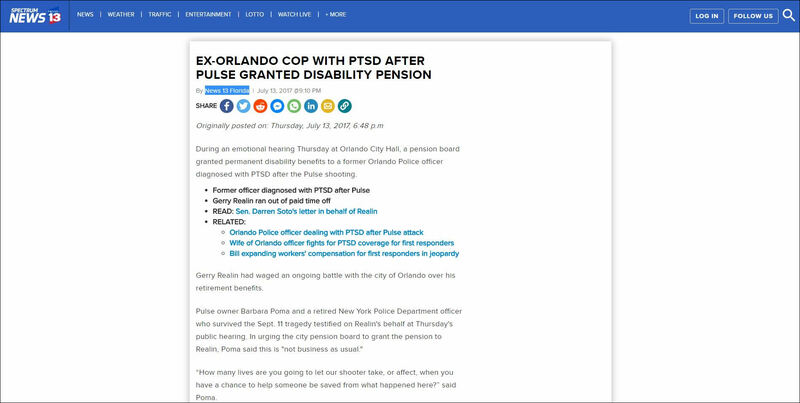 ORLANDO, Fla. (WOFL FOX 35) - An Orlando Police Officer diagnosed with Post Traumatic Stress Disorder will be allowed to retire early after a decision Thursday by the City of Orlando’s Police Pension Board. 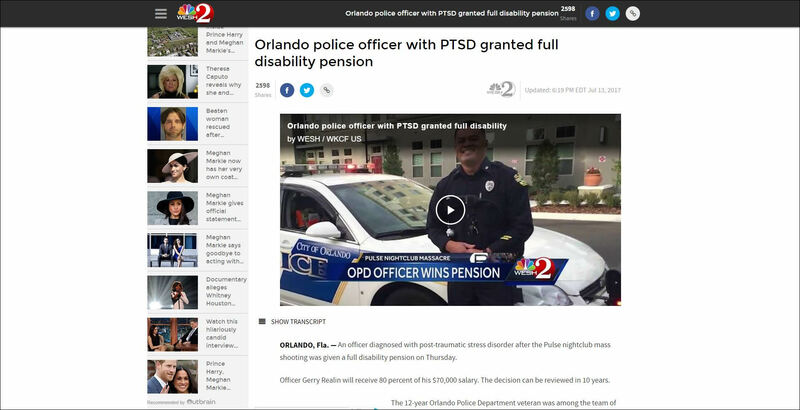 13 July 2017,A PENSION FOR OPD OFFICER WITH PTSD – NOW WHAT? 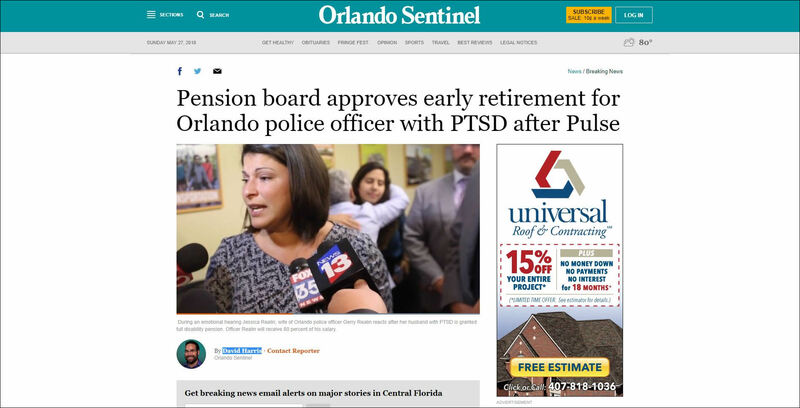 An Orlando Police officer diagnosed with post-traumatic stress disorder after responding to the Pulse massacre was granted a disability pension by the city board Thursday. 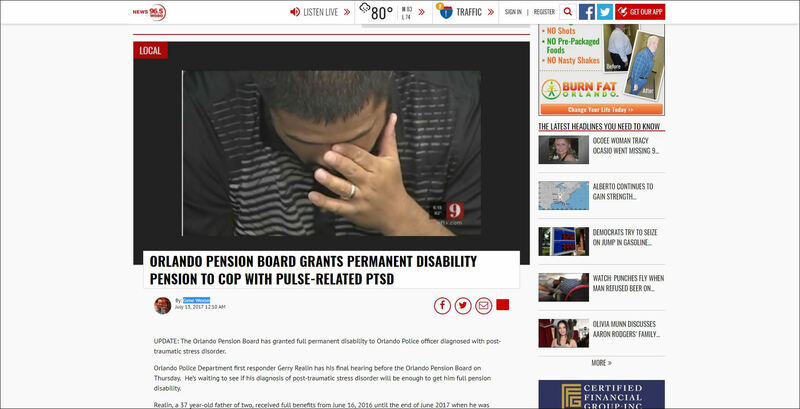 ORLANDO -- During an emotional hearing Thursday at Orlando City Hall, a pension board granted permanent disability benefits to a former Orlando Police officer diagnosed with PTSD after the Pulse shooting. 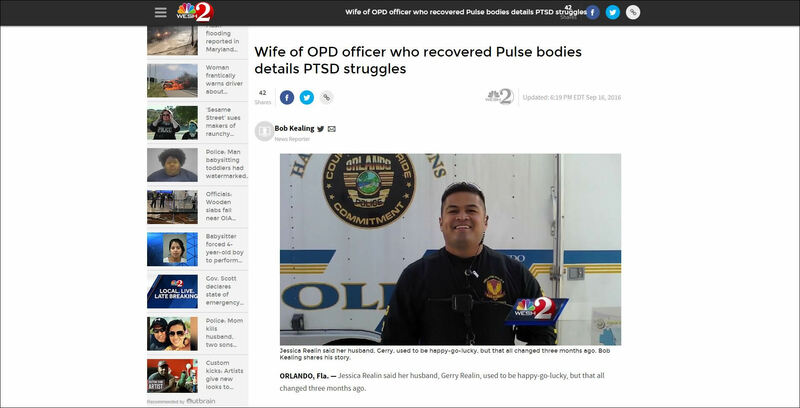 ORLANDO, Fla. — An officer diagnosed with post-traumatic stress disorder after the Pulse nightclub mass shooting was given a full disability pension on Thursday. 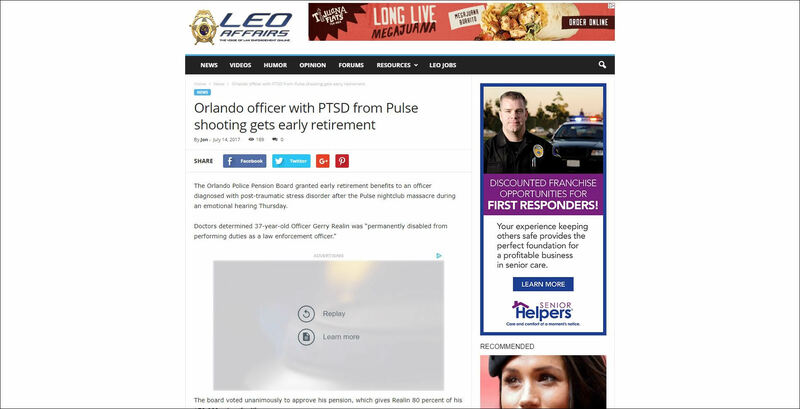 Despite staunch opposition from the city, the Orlando Police Pension Board on Thursday granted early retirement benefits to an officer diagnosed with post-traumatic stress disorder after the Pulse nightclub massacre. 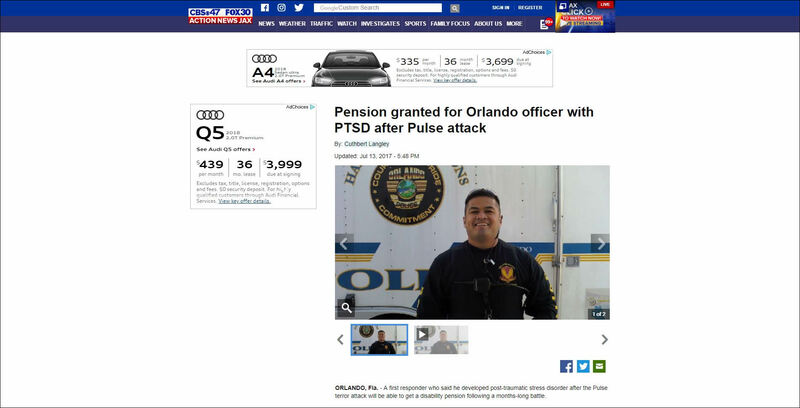 ORLANDO, Fla. - The Orlando Police Department Pension Board granted the early retirement and pension for an officer diagnosed with post-traumatic stress disorder after he was assigned to carry bodies out of Pulse nightclub. Florida’s 1st District Court of Appeal this week ruled that an injured worker was wrongfully deprived of an opportunity to create a record for establishing a constitutional challenge to the state’s statutory cap on weekly disability beneﬁts. 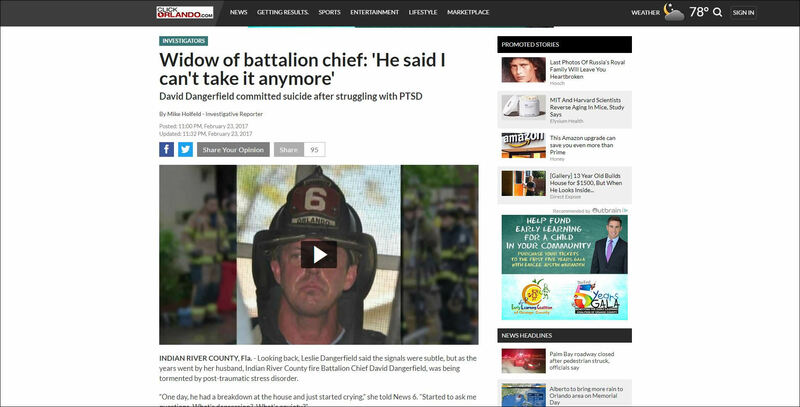 Rates of PTSD in firefighters may be heightened more so than in any other professions. See, many people will experience a potentially traumatic event at some poit in their life. But just because you have experienced a traumatic event does not mean that you will go on to develop PTSD. However, people who have experienced multiple traumatic events have been found to be at greater risk for developing PTSD. When William Duesler joined Tamarac Fire Rescue 14 years ago, experienced firefighters used to hang scorched helmets on the wall with pride. They didn't know that this might be killing them. 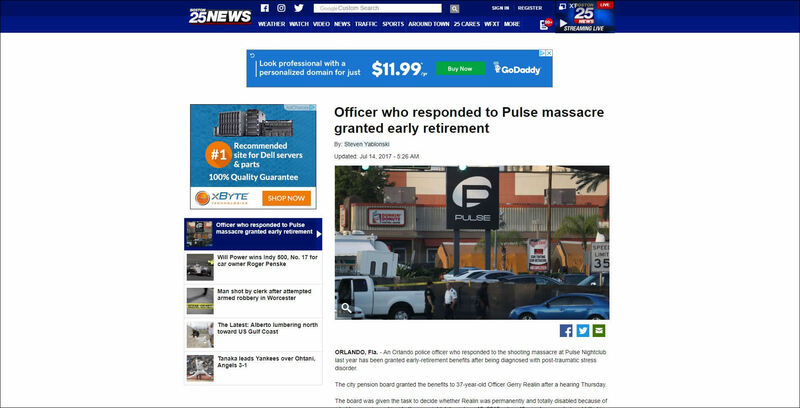 One year ago this week, Orlando police Officer Gerry Realin spent four hours removing dead bodies from Pulse Nightclub. Officers covered the 49 victims' bodies with white sheets. They used Sharpie markers to tally up the dead. Tests have shown fires at homes filled with items made from modern-day synthetic materials burn hotter and faster than homes filled with the natural construction materials used decades ago. 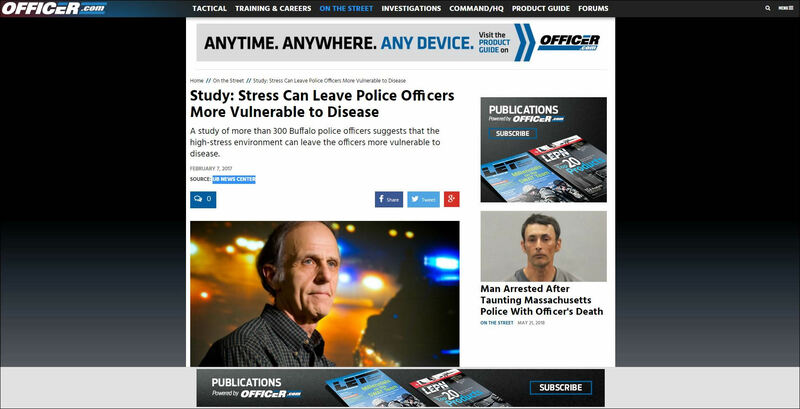 4 May 2017,Who pays to heal mental injuries of first responders? 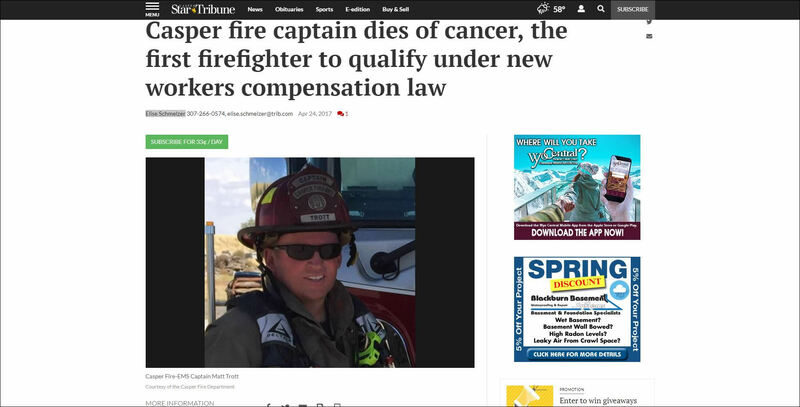 24 April 2017,Casper fire captain dies of cancer, the first firefighter to qualify under new workers compensation law. 20 April 2016,Early detection can lead to 'heart bill' claims. 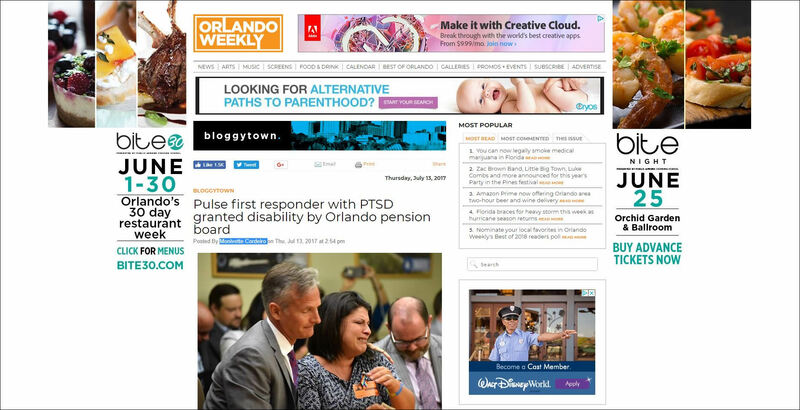 As most readers of my previous columns will recall, my firm represents first responders throughout Florida with work-related disability claims. 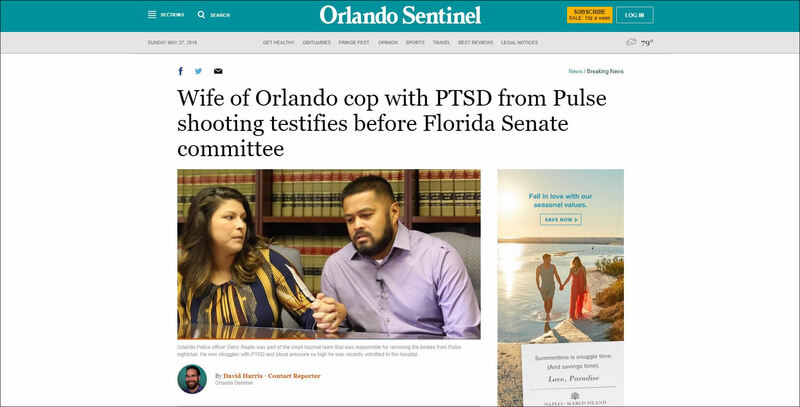 The wife of an Orlando police officer suffering from post-traumatic stress disorder gave emotional testimony Monday, urging lawmakers to support a bill that would offer first responders with PTSD full workers’ compensation benefits. 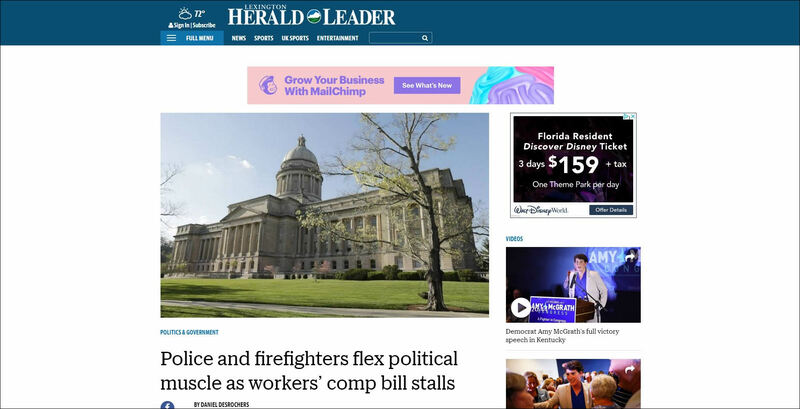 FRANKFORT - For more than a week, State Rep. Adam Koenig, R-Erlanger, has been fielding calls and emails from first-responders asking him why he sponsored a bill that would strip them of their workers’ compensation benefits. The Sandy Hook Elementary School shooting catastrophe took place on December 14, 2012. 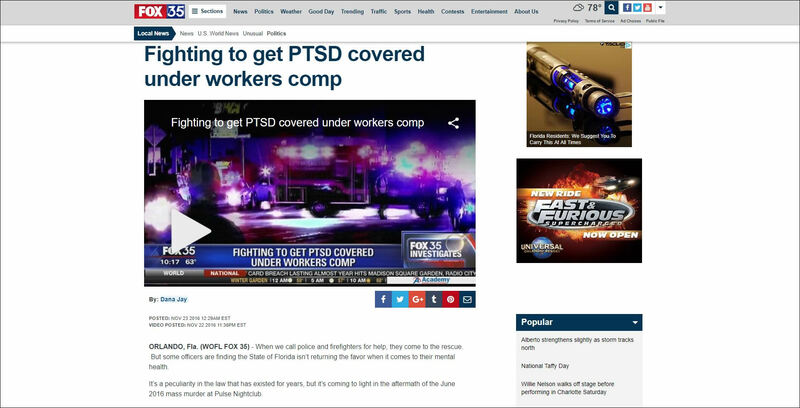 Shortly, news reports appeared that surviving workers could not get mental health counseling benefits through workers’ compensation. Connecticut is one of the states that bar all or almost all workers’ comp claims for work-induced mental stress if no physical injury has occurred. 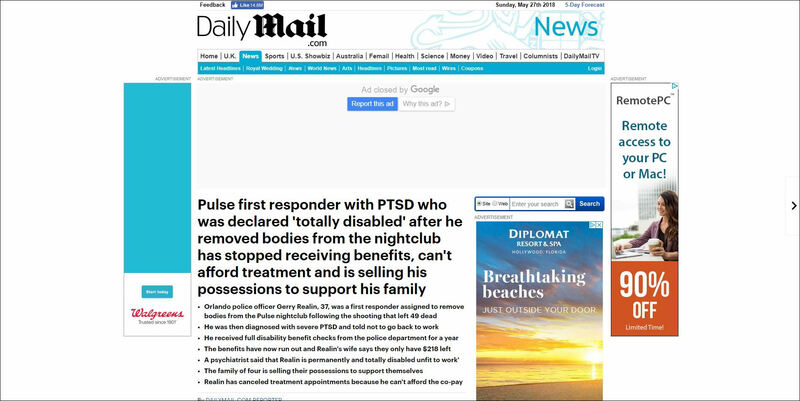 Left unmentioned in the media, including in the insurance media, that even where so-called “mentalmental,” as opposed to “physical-mental” claims are allowed, being awarded benefits can be difficult. 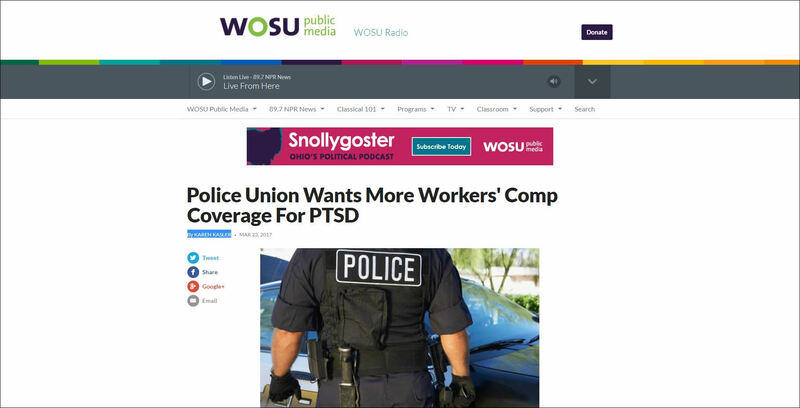 Ohio's largest police union wants the Bureau of Workers Compensation to cover more claims for post-traumatic stress disorder in first responders. 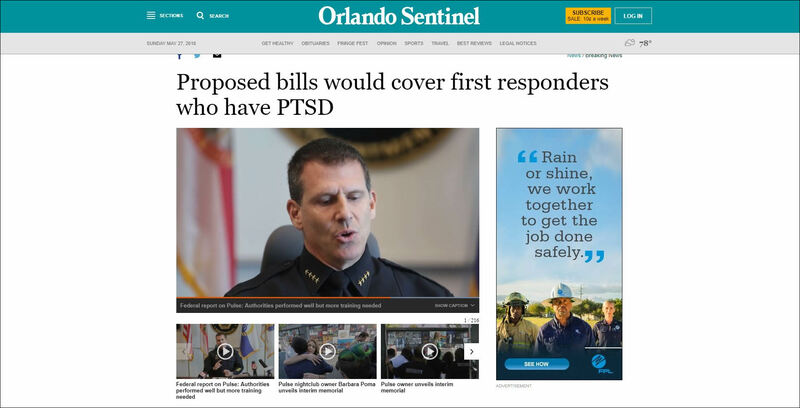 Bills to provide a PTSD presumption for ﬁrst responders and to shield the names of claimants from the public — especially attorneys — were introduced Tuesday on the opening day of the Florida Legislature’s 2017 session. 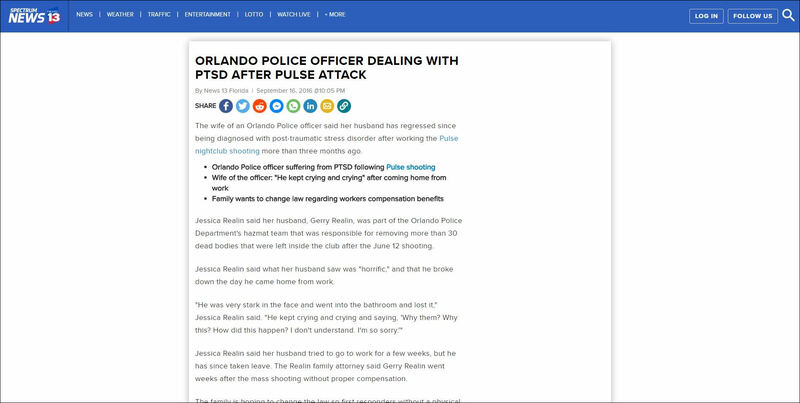 An Orlando police officer diagnosed with Post-Traumatic Stress Disorder after the Pulse shooting has been ordered back to work. 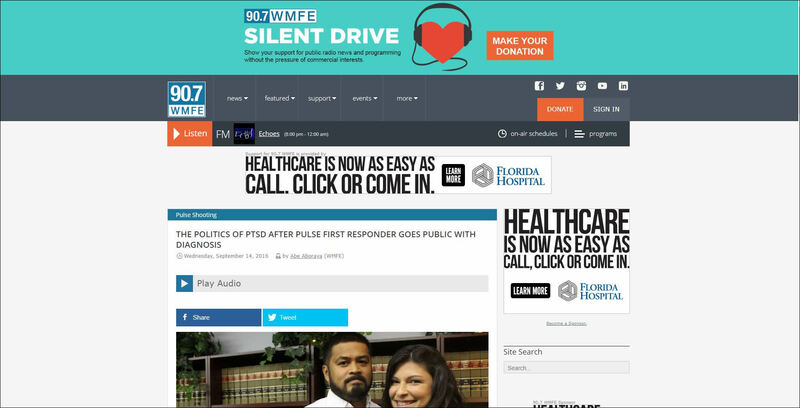 Post-traumatic stress disorder among emergency ﬁrst responders in Florida would be compensable, even if not accompanied by a physical injury, under legislation introduced by Sen. Keith Perry, R-Gainesville. The Florida Division of Workers' Compensation will hold a public hearing Dec. 6 on proposed amendements to its rule on expert medical advisers - rules that claimants' and defense attorneys alike call "awful" and want repealed. Florida's 1st District Court of Appeal on Wednesday ruled that the state's statutory 104-week cap on temporary partial disability benefits cannot cut off the benefit payments for a worker who has not yet attained maximum medical improvement. Unlevel the Playing Field? 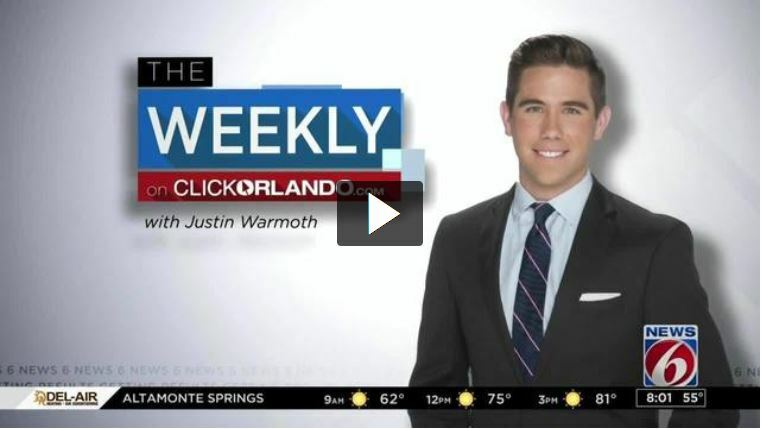 by Sherri Okamoto is in WorkCompCentral's Special Report this month. 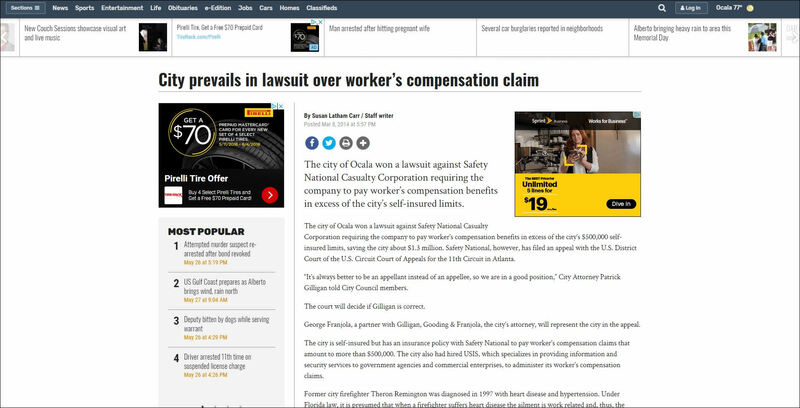 Our Managing Partner, Geoffrey Bichler, is quoted in the article while discussing Miles v. City of Edgewater and the current constitutional battles going on in our judicial system regarding Worker's Compensation. You can read the full article on pages seven & eight. It is an honor and a privilege to have the opportunity to serve as Chair of the Workers’ Compensation Section of the Florida Bar for 2016 to 2017. I have been a member of the Executive Council for quite some time, and I have enjoyed my association with those many leaders and individuals who have done so much for the Workers’ Compensation Section for many years. One of the nation’s foremost authorities on workers’ compensation predicts that Florida — already facing a huge proposed rate increase over adverse court decisions — will be hit with new court rulings declaring more of its provisions unconstitutional. 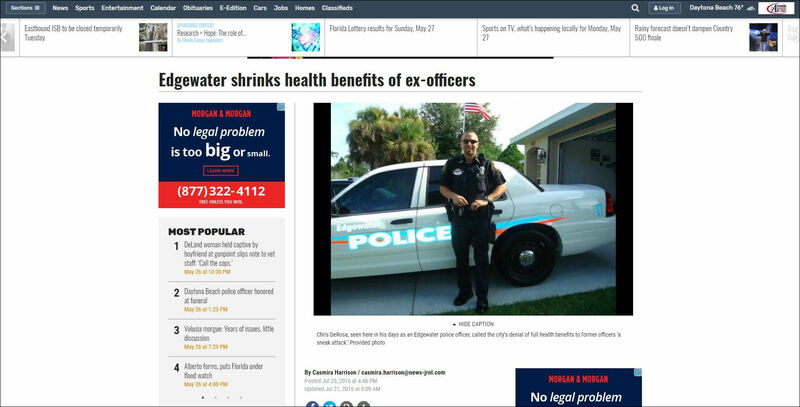 A panel from Florida's 1st District Court of Appeal on Wednesday declared the state's statutory limits on the compensation of claimants' attorneys unconstitutional, as applied to an injured police officer who was willing to pay an hourly fee to her counsel. 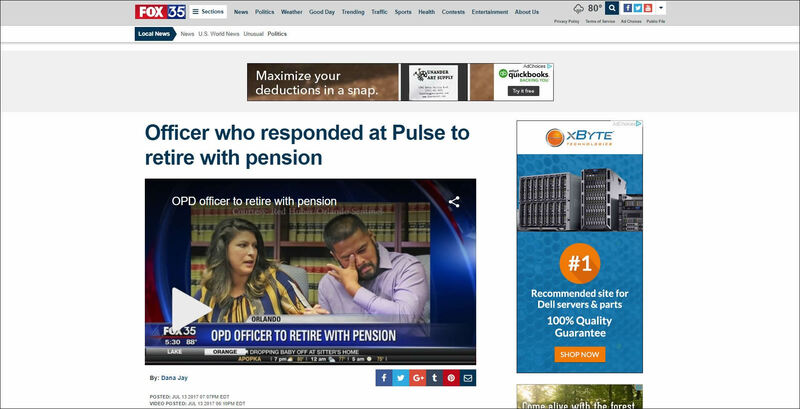 As readers will recall, I authorised an article in September which outlined a massive problem related to unpaid impairment benefits to Palm Beach PBA members with hypertension and/or heart disease. 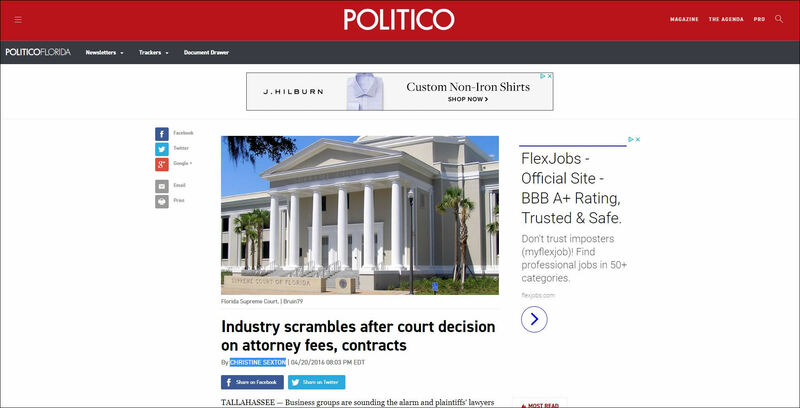 Florida workers' comp practitioners have had their eye on the state Supreme Court for more than a year, awaiting a ruling in Castellanos v. The Next Door Co. on the constitutionality of the statutory cap on claimant attorney fees. The Florida Supreme Court has agreed to accept review of yet another workers' compensation case. Stahl v. Hialeah Hospital is a constitutional challenge based on the premise that the workers' compensation system is no longer a fair replacement remedy for a civil cause of action. The PBCPBA has discovered that potentially millions of dollars in unpaid benefits are owed to members with work-injury claims, even though the members have returned to work without loss of income. 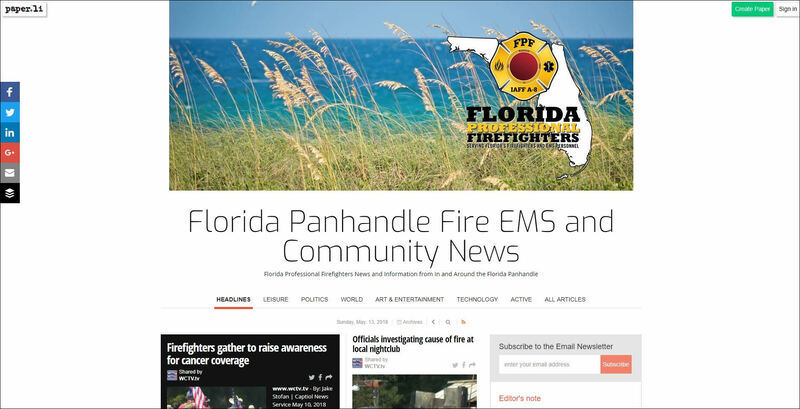 Regulators considering revisions to Florida Impairment Guides that could have major impact on tax fee impairment benefit payments to First Responder Community. 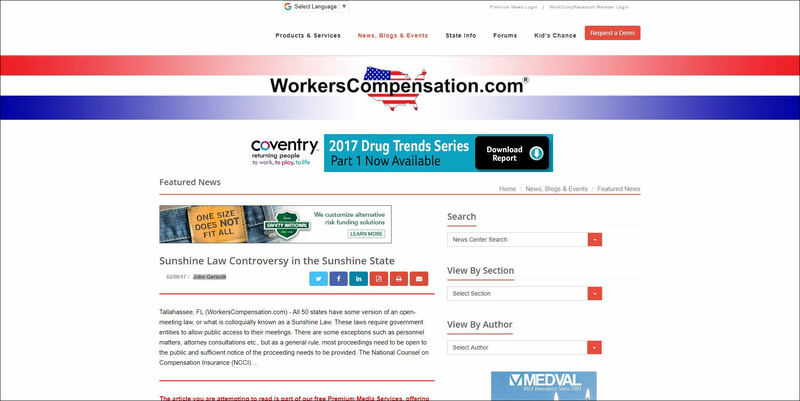 17 July 2015,Workers' Compensation: Can the State System Survive? The Commonwealth of Pennsylvania celebrates its workers' compensation centennial in 2015. Part of the bar and agency recognition of this milestone was a program presented on June 1, 2015: the Centennial Celebration of the Pennsylvania Workers' Compensation Act. Professor Burton delivered the Keynote Address, whic is reprinted here with his permission. 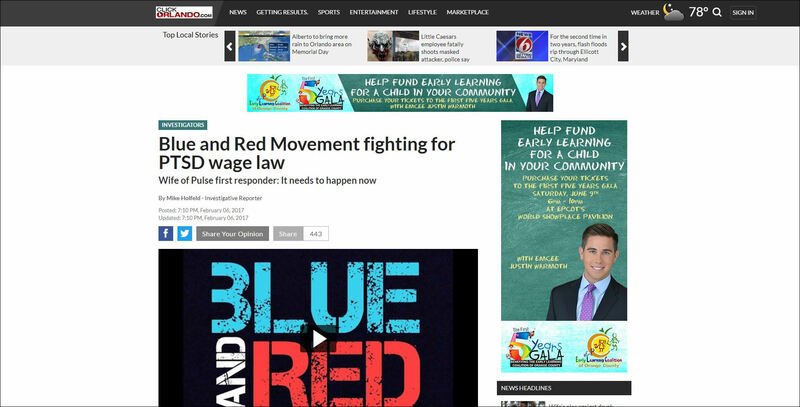 As Florida public employees brace for the next legislative session in Tallahassee, the agenda of the League of Cities threatens to steamroll any reasoned discussion about the allocation of the State’s resources. 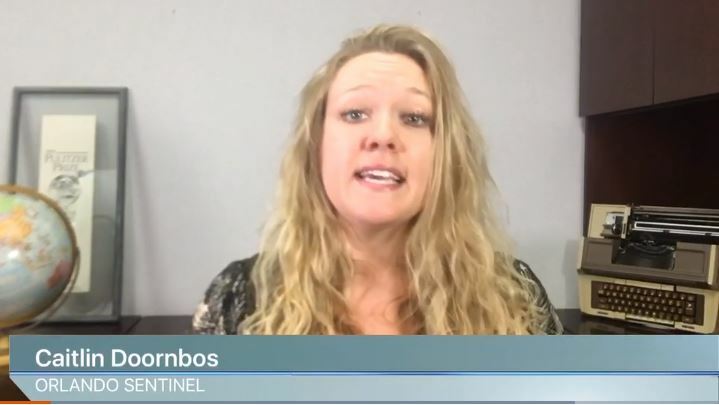 The continued cries that “the sky is falling” warp an already difficult political climate and obscure the reality that there are choices to make which do not require a scorched earth approach. Of course, scare tactics work well when pushing an extreme agenda, but the resulting bad legislation nearly always has unintended negative consequences. One great example of this dynamic is playing out in the debate over Florida presumptive legislation. The pension reform act, which passed last year, created a task force to study the existing presumptive laws and make recommendations for “reform”. Needless to say, the operative assumption in creating the task force was that the existing laws, including the “Heart Bill” (F.S 112.18), were too generous. Since this assertion was made, the League of Cities and other affiliated groups have compiled statistical data demonstrating how expensive these protections are to governmental employers. This statistical analysis is accompanied by pleas to eliminate the presumptions. These statistics, however, ignore a simple but profound reality. 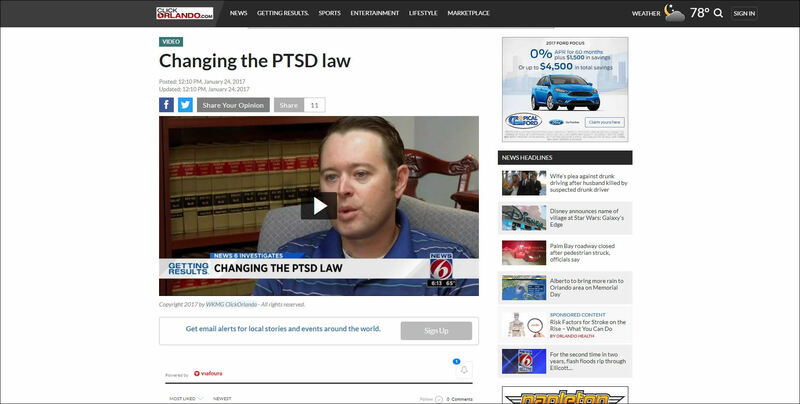 The current law was passed in the first legislative session after the horrific attacks of 9/11. The bravery and sacrifice of our first responders were on clear display for the nation and were fresh in the minds of the legislators who passed the current law in 2002. Everyone fully understood that heart claims were expensive at the time, but it was also understood that the very nature of the jobs these heroic public servants perform make them more susceptible to hypertension and cardiac disease. 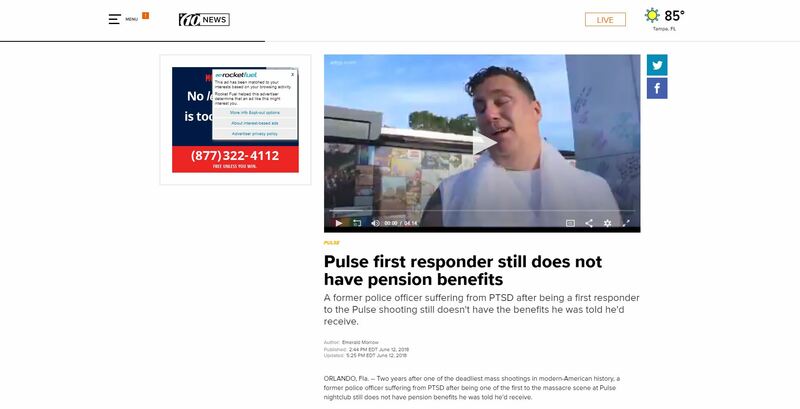 Thus, while we can all agree that it is expensive to provide benefits to first responders who develop hypertension and heart disease (due to the selfless sacrifice they make through their chosen career), there was an obvious reason to provide them and there are clear alternatives to the elimination, or severe restriction, of these important protections. The necessity of reasoned discussion over important public policy like the “Heart Bill” is a requirement in a representative democracy; such debate provides for the crafting of the best kind of legislation that balances the interests of all stakeholders. Unfortunately, recent developments make it appear that the presumption task force is nothing more than a facade allowing the League of Cities to ram through a predetermined agenda as to a particular legislative objective. 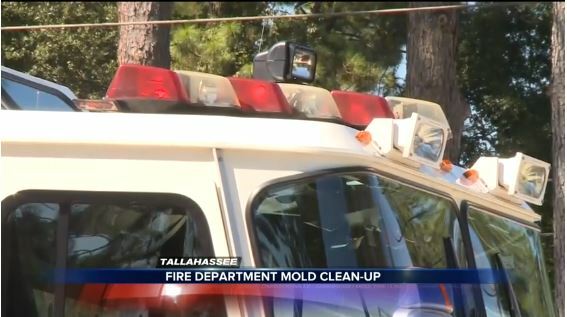 While no one should be surprised that the League of Cities is running a bill of this nature, it seems curious, to say the least, that they could not wait until the task force had completed it’s work. After all, the task force was legislatively mandated and good people, including my partner Mike Clelland, are spending time and money to fully investigate this issue and suggest mutually beneficial reform. 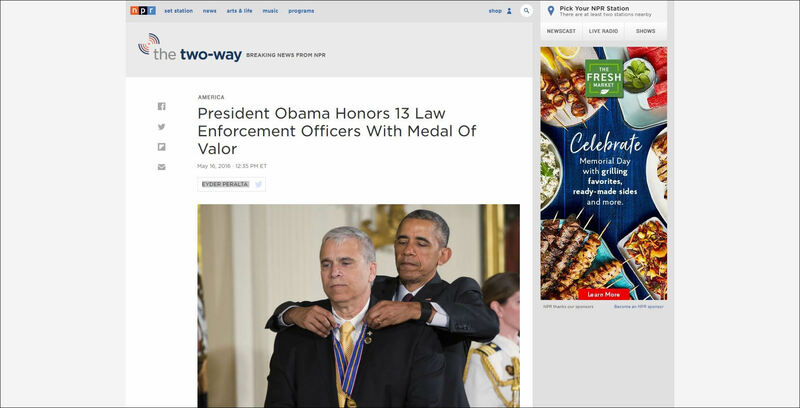 In the end, this looks like nothing less than another slap in the face to dedicated public servants. Enough! Countless first responders have been saved from utter destitution by virtue of the “Heart Bill” protections. 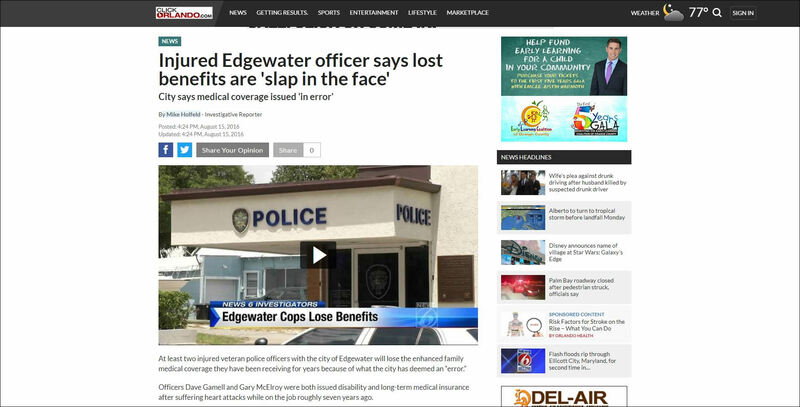 Yes, it costs money to take care of disabled first responders but ultimately there can be no more worthy use of taxpayer dollars. Notwithstanding a current trend of thought, there are certain things that state and local government must do. A stable society requires fire service, law enforcement, and correctional facilities and people to do this critical work. First responders are important pillars in a free society and society, in return, has certain obligations to those individuals that place themselves in harm’s way. When we turn our backs on disabled firefighters, police officers, and correctional officers, we are breaching a sacred obligation that makes us less worthy of the blessings of democracy and freedom. 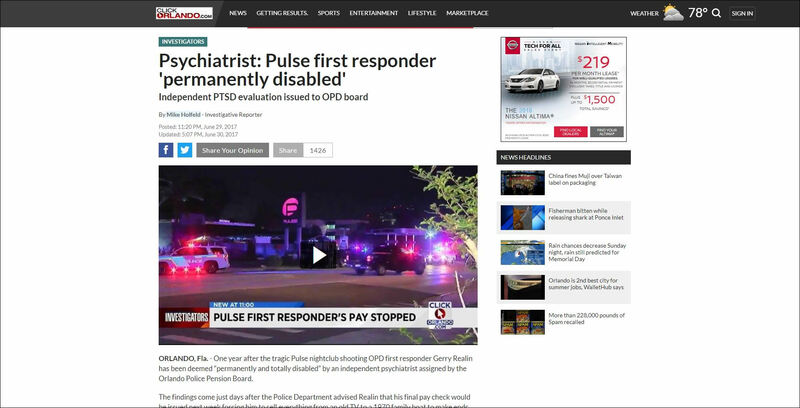 Perhaps more importantly, if first responders don’t believe that society will take care of them if they become disabled doing their jobs, how long can we expect them to selflessly continue their work? 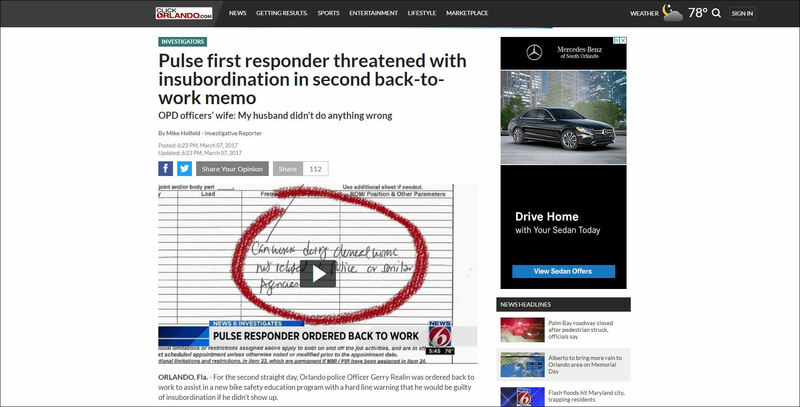 All first responders operate under the same assumption. Before he died from complications related to his Hepatitis “C” condition, Richard won his case and became a champion for other firefighters. His words continue to resonate today with an understanding that the selfless loyalty that first responders exhibit to their communities demand reciprocity. 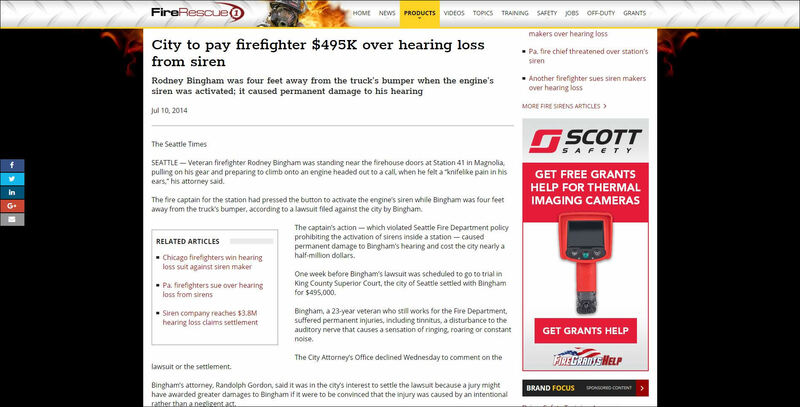 Yes, Richard’s case cost his employer a good deal of money because he died as a result of a bloodborne pathogen, but this is the cost a civilized society must pay to the people we ask to do the most difficult and demanding of jobs. What we see playing out today in the debate over presumptive legislation is a classic overreaction to a legitimate fiscal problem. There are plenty of ways to improve this legislation, and minimize costs to employers, without eliminating an important protection for valued public servants. In order to have a real discussion about achieving these goals, however, we must have a partner in the discussion who is truly interested in creating good public policy, not simply ramming through an ideologically driven bill. Whether it is pension reform, tax policy, or presumptive legislation, the people of this State have a place at the table and should be allowed to participate in an open discussion about what is best for all citizens. The recent filing of legislation by Representive Costello, before the task force has even completed it’s assignment, leaves the interested among us questioning why the charade was even begun. Perhaps more importantly, it leaves us questioning the legitimacy of a process where elected officials ignore the needs of the people while catering to powerful special interests. 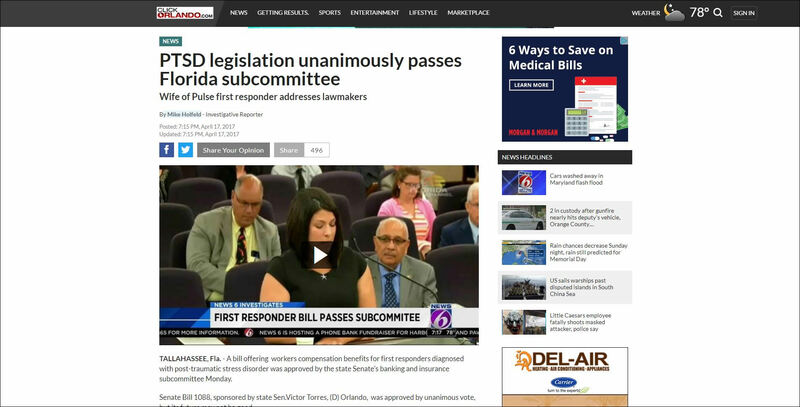 As many of you know BCO has begun a tour of the State to make sure that all first responders are aware of the protections afforded by the “heart/lung bill” before potentially devastating changes go into effect restricting or eliminating coverage. 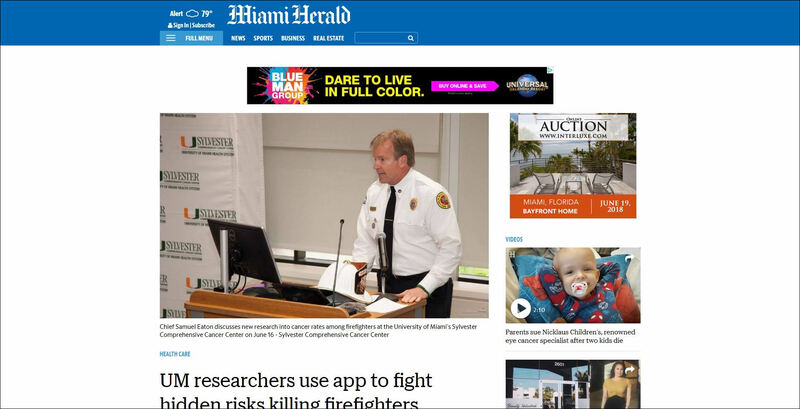 Last week the partners of BCO traveled to Miami and Key West for two days of meetings with firefighters and law enforcement officers. Although all meetings were very well attended, and well received, it is apparent that many first responders remain ignorant about the critical protections contained in the “heart/lung bill” and to legislative threat to same. Furthermore many are being given erroneous information leading them to believe that they are not covered by the law. 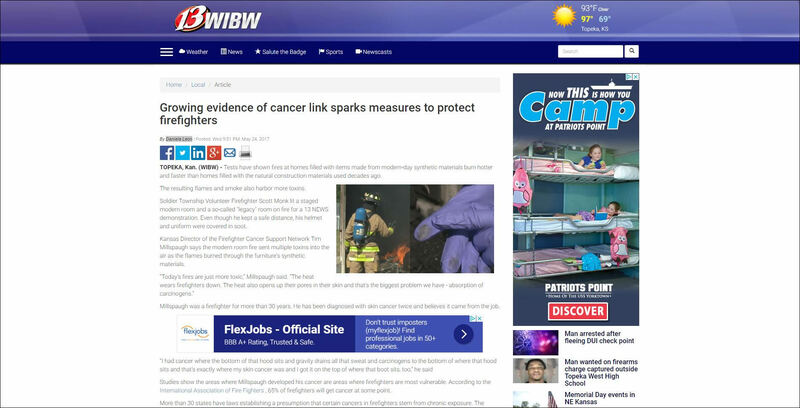 The goal of our effort is to provide accurate information to every first responder so that informed decisions can be made about whether to pursue these valuable claims. This week our team will be in the panhandle, and specifically Panama City, on Thursday and Friday as we continue our effort to ensure that all who have potentially valuable claims are aware of their rights. 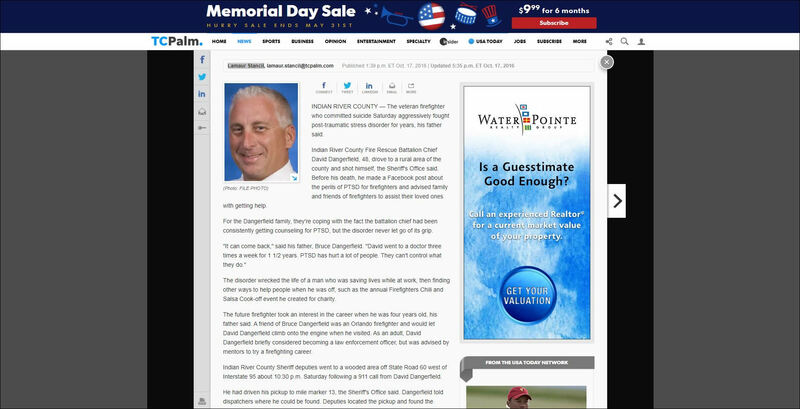 The following week we return to South Florida for the Firefighter Expo in Ft. Lauderdale and the Tour de Vero (a charitable bike race to benefit firefighters and honor a fallen firefighter who died from heart disease). From there we will be in Dade County for he FPF annual convention, Jacksonville for two days of presentations and Orlando for a special workshop for first responders with claims and/or questions. 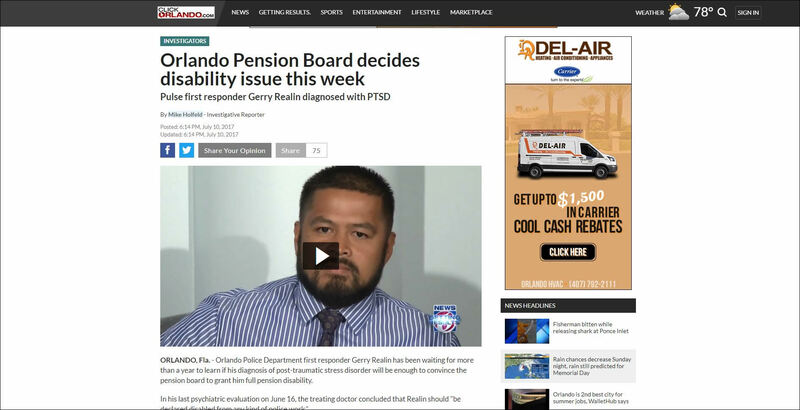 The reason for this concerted effort is that the pension reform legislation passed last year included a proviso that a task force be created in order to review Florida presumptive legislation and make specific recommendations relative to same. 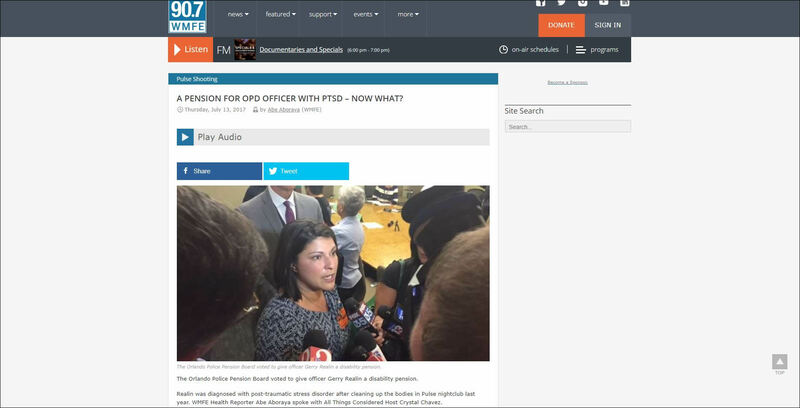 Needless to say, given the current political climate and fiscal crisis, we do not anticipate that this task force will be making suggestions for enhancement in benefits or coverage. Consequently we are recommending that all first responders perfect claims for hypertension and heart disease as soon as possible to avoid the potentially devasting impact of this legislation. 21 July 2011,FULL SPEED AHEAD! 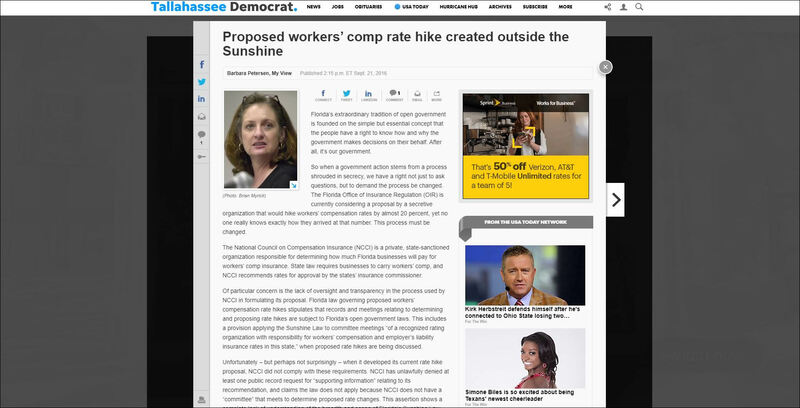 With Summer in full swing Florida public employees are now feeling the heat generated by a 3% reduction in pay (a tax by any any other name remains as onerous). Others face the reality that jobs will be lost as traditional governmental responsibilities, such as the operation of correctional facilities, will be turned over to private industry. Additional budget cuts loom and further threaten an already fragile and underfunded public school system, and infrastructure crumbles from years of neglect and overuse. Meanwhile corporate fat cats continue to take home enormous salaries and exhorbitant bonuses exacerbating an income disparity we have not seen since just prior to the Great Depression. What hope can be taken from these discouraging realities? Well, maybe people are finally beginning to see the need to get involved in the political process for one. Thanks to Governor Scott and the extreme Republican agenda it seems that the people of Florida are beginning to stir and move in a new direction: a direction where the sacrifices of the middle class and working people will be acknowledged and rewarded. 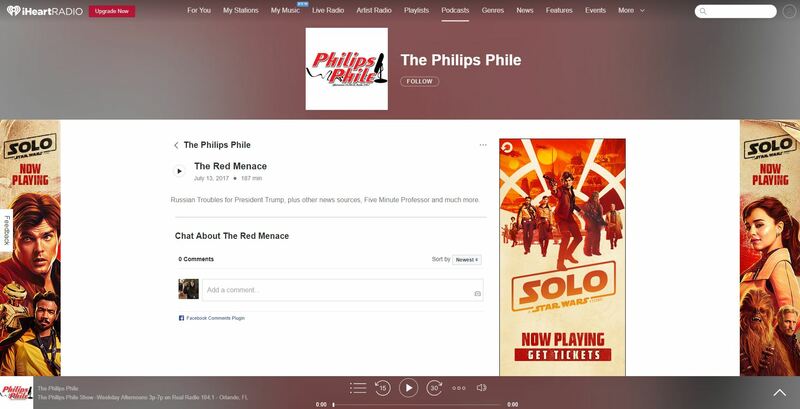 You can see it on the web, where countless grassroots websites, and new media outlets, are taking the fight to political lackeys that promote “corporate welfare” at the expense of real people. At BCO we continue our fight for real people, and will not rest until the tide is turned and the corporate oligarchs are defeated. In our estimation there is nothing extreme about the idea that government is “by and for the people”; when is stops functioning as such we have strayed from the principles that our Country was founded upon. So, what is a message that this new movement can agree on? Let’s start by keeping it simple: life, liberty and the pursuit of happiness! Has a certain ring to it don’t you think? These ideals require us to acknowledge a shared humanity and fundamental equality regardless of where you happen to fall on the income scale. It might be argued that the sole purpose of government is to provide a structure within which all citizens have an equal opportunity to enjoy these founding principles. Additionally, our founding document provides that the government shall promote the “general welfare” and ensure “domestic tranquility.” Shouldn’t these principles be placed on the scale when considering what government actions, if any, need to be taken in a given situation? Much of this seems lost in the partisan debates currently taking place over what entails good public policy. Let’s take this Country back from corporations and special interests and remake it in a way that reflects the vision of the Founding Fathers. We can start with some basic ideas. People need to be able to earn a living wage regardless of the kind of work they perform. People also need access to basic affordable health care and educational opportunities. People need: safe water and food supplies; safe roads and bridges; safe and efficient transportation systems; public safety (police, fire, criminal justice and corrections); a fair civil justice system for the redress of grievances; and, people need a political process that allows for, and encourages, participation of all citizens while minimizing the impact of special interests. It seems to me that most people, regardless of political affilliation, agree with these ideas. They reflect a common understanding of basic government functions necessary to allow people to thrive and excell which in turn makes our Nation stronger. 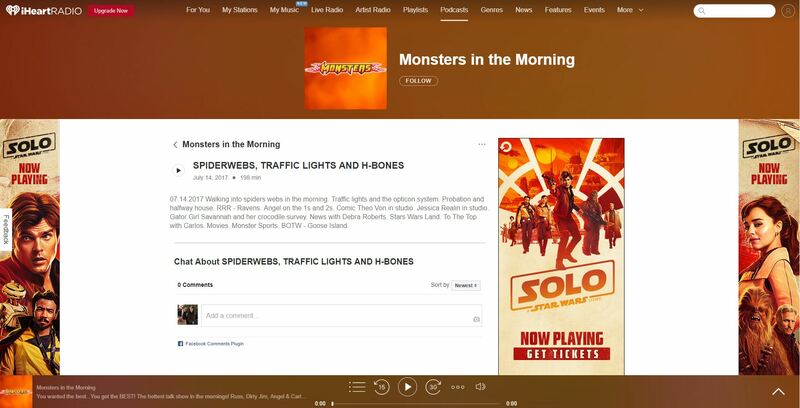 Welcome to our new website and my inaugural blog. 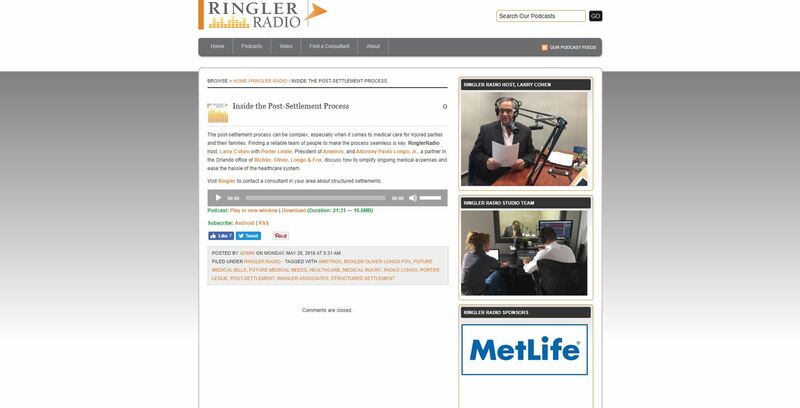 As you can see our firm has undertaken some major changes in the last few months to insure that our clients are getting the best possible legal representation all over the state. We have incorporated all of the best parts of our previous incarnation (Bichler & Kelley P.A.) and expanded with five new partners. All of this has been in keeping with our ultimate goal of providing full service representation to the first responder community across Florida. 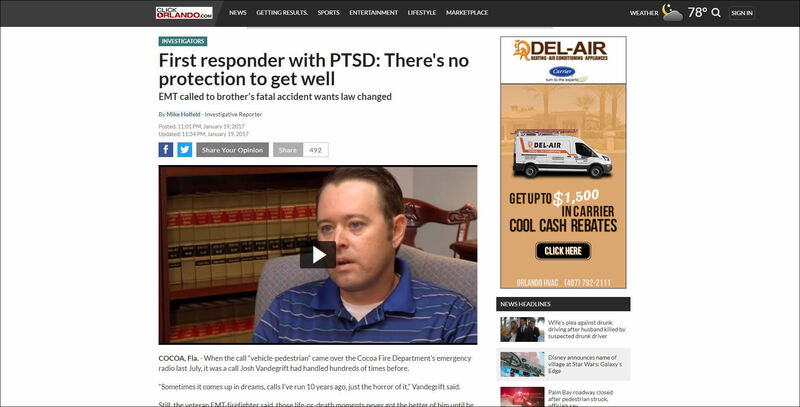 As I write this, the legislative session is in full swing and the 1st District Court of Appeals has just ruled in the case of Kauffman v. Community Inclusions, Inc./Guarantee Insurance Company, further eroding the rights of injured first responders. Unions that protect our clients are under a massive assault by big corporate interests who are only interested in maximizing profits at the expense of what remains of the middle class. We are continuing to work both in the legislature and in the courtroom to fight against these trends that impact our clients, their families, and their way of life. We will work to move the Kauffman case to the Supreme Court of Florida and continue to work in the legislature to protect the rights of our clients. I also urge each of you to get engaged by calling your legislators and, if possible, joining us and your union representatives in Tallahassee. Our ultimate goal at Bichler, Clelland, Oliver is to meet all the legal needs of all first responders in the most efficient way possible and at significant savings. We offer reduced fees to all first responders and their families making sure you keep more of your hard earned money. For example most personal injury firms take 33 percent of any recovery made as a result of an automobile accident, even if no suit has been filed. At Bichler, Clelland, Oliver first responders and their families pay only 25 percent of any recovery in a personal injury case, saving a full 8 percent before a case goes to suit. After a case goes to suit most firms charge 40 percent of recovery while we only charge 35 percent— saving clients 5 percent. We also charge reduced hourly rates for criminal representation, labor consulting, preparation of wills and trusts, and family law issues. Again, our goal here is to always maximize the recovery of our clients and to minimize legal costs wherever possible. This means more money for first responders and their families with less paid out in legal expenses. Additionally Bichler, Clelland, Oliver is committed to the charitable and political causes of our clients in a way that has a fundamental impact on the first responder community. Our firm regularly contributes to firefighter and police charities, widows of first responders who die in the line of duty, and to political causes and candidates that support our clients and first responders. Last year we worked tirelessly to help pass legislation that provides health insurance benefits to dependents of firefighters who die in training exercises — donating hundreds of man-hours of pro-bono work to this cause. This year we have continued to engage in the legislative process by actively opposing mandatory pension contributions for first responders and other public employees. We oppose legislation that targets the power of first responder labor groups. All of this work is done without compensation, for the benefit of our clients. We depend on general revenue to pay for our legislative work. Consequently, when you hire our firm you are helping us continue all of this important work. We recognize that these are very difficult times for our clients and for all first responders. It is our sincere hope that we can provide relief to our clients by providing certainty and resolve in times of need. This is our commitment to all of you and we will continue our efforts in the coming months to spread the word about this important work. 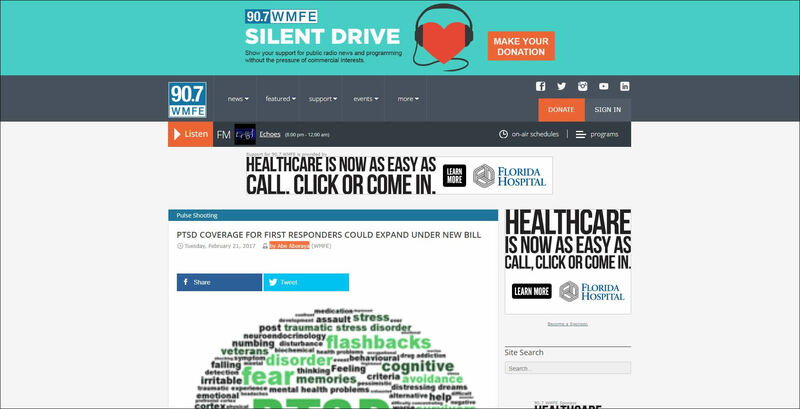 Please help us by making other first responders aware of the services we provide and the savings that are available.